I chose to read [ Sara Cardoza Reading 1 ] Lilo and Stitch because I have always loved the movie. My family lived in Oahu, Hawaii during one of my father’s duty stations and the islands’ life has made a lasting impression on my own. 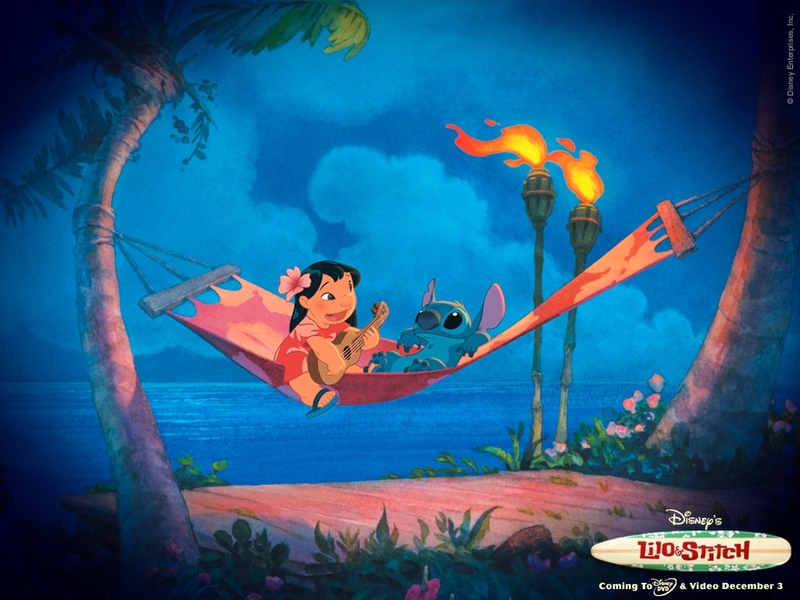 When I saw the movie years ago I immediately connected with the characters, the music, and the way the film captured the Hawaiian spirit–even if it was intended for young children. Lilo and Stitch is a fun choice because of all the unique character voices. Jumba has a decidedly Russian accent, Nani and David have the island accents, Cobra Bubbles (voiced by Ving Rhames) is deep and intimidating, and Stitch…well Stitch’s voice is all his own . I wished Stitch had as many parts in the book as he did in the film because I love intimating his voice, and his relationship with Lilo is very touching and sweet. In choosing this book to read, I hope I am able to bring to life (as much as I can) the colorful characters and some of the Hawaiian spirit I have always loved so much. This entry was posted on Tuesday, July 20th, 2010 at 6:58 pm	and is filed under Uncategorized. You can follow any responses to this entry through the RSS 2.0 feed. Both comments and pings are currently closed.